Designed with premier jazz artist and brush master Adam Nussbaum. 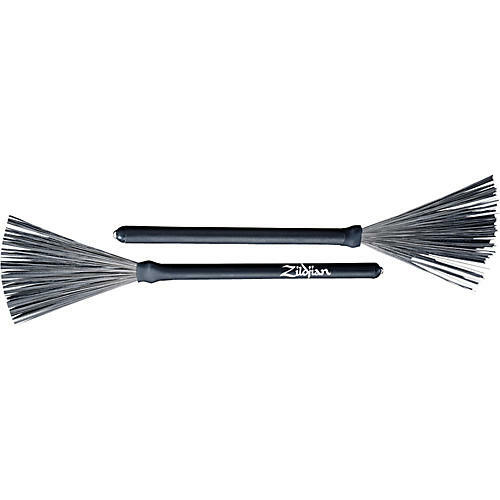 Zildjian Retractable Wire Brushes are built to last with easy-to-handle rubber grips and comfortable dimensions for maximum playability. Position the wires all the way out for a more quiet and traditional brush sound and effect, or pull them in incrementally for added volume and articulation. Add these classic wire brushes to your stick bag today!